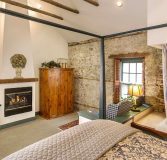 The Hattie Wiesler room has a fireplace that can be viewed from the oversized Whirlpool bath/shower located in the bedroom area. 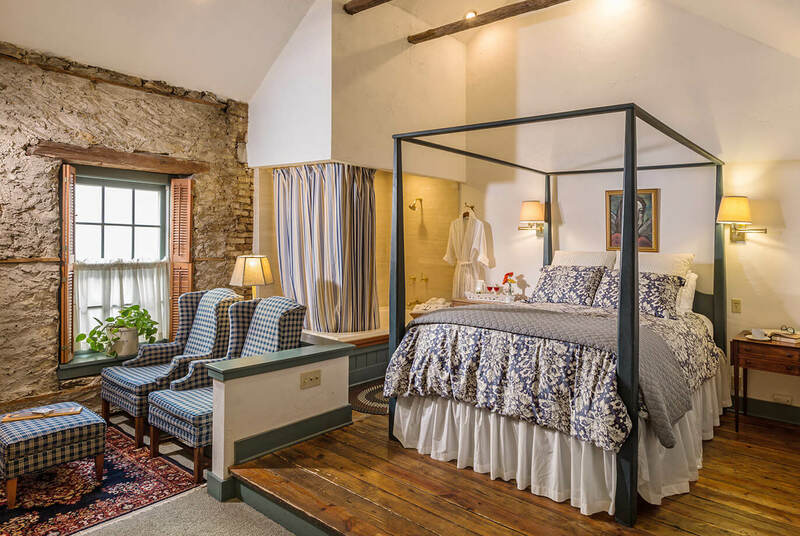 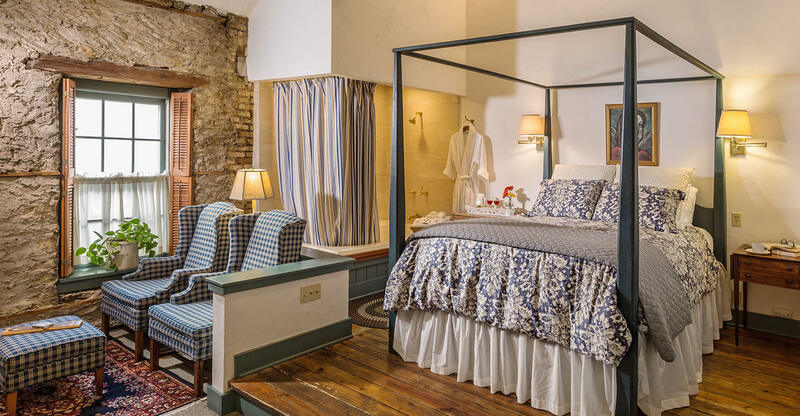 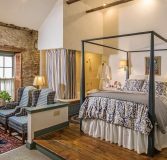 A pencil post queen bed rests on a platform beside a sitting area, and the bed itself sits atop a platform adjacent to the tub and sitting area… all surrounded by natural stone walls and original lathe. 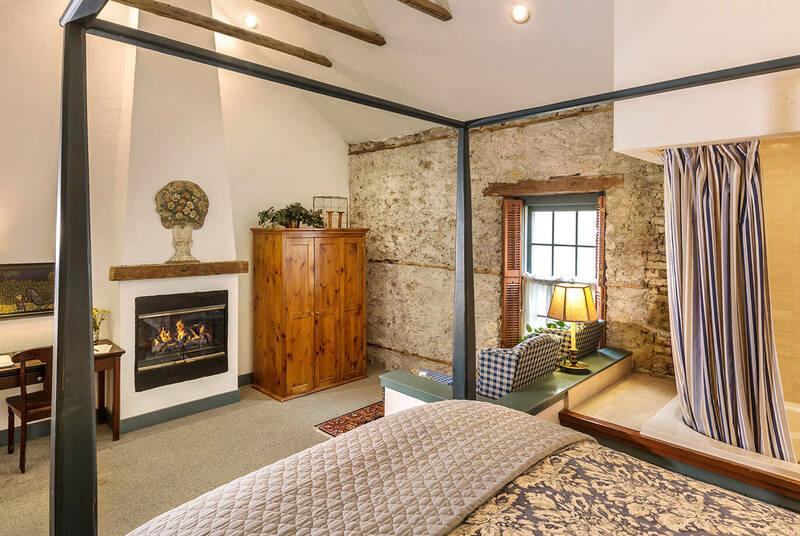 This memorable room at our bed and breakfast in Cedarburg, WI is the perfect place to curl up with a novel and unwind.